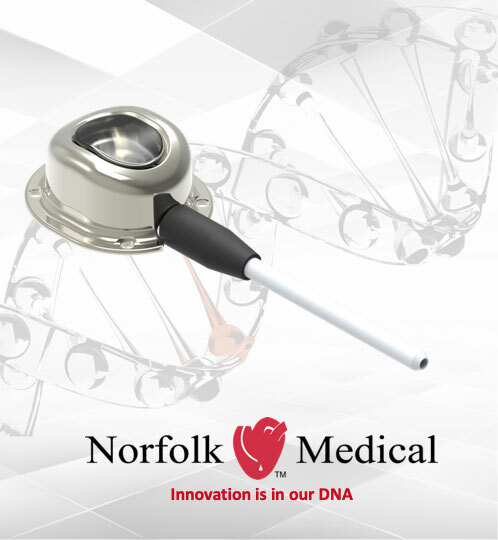 The Norfolk Medical team is devoted to providing healthcare professionals and patients with high-quality products that perform reliably in accordance with customer expectations, and which meet or exceed regulatory requirements and standards. We strive to lead the industry in the design and manufacturing of innovative medical device systems. Our quality management system meets the ISO 13485 standard and required federal regulations, such as the FDA Quality System Regulation, the European Medical Device Directive 93/42/EEC, and the Canadian Medical Device Regulations. We are committed to maintaining the effectiveness of the quality management system. We are relentless in our desire to understand and exceed the expectations of our customers. We manufacture all Norfolk Medical products in our 11,000sq ft. ISO-certified and FDA-regulated facility in Skokie, Illinois.